Yesterday was an okay day. It started off with a bit of a downer, then was pretty flat after that. My husband was making dinner (a RARE treat…) so I had some free time. 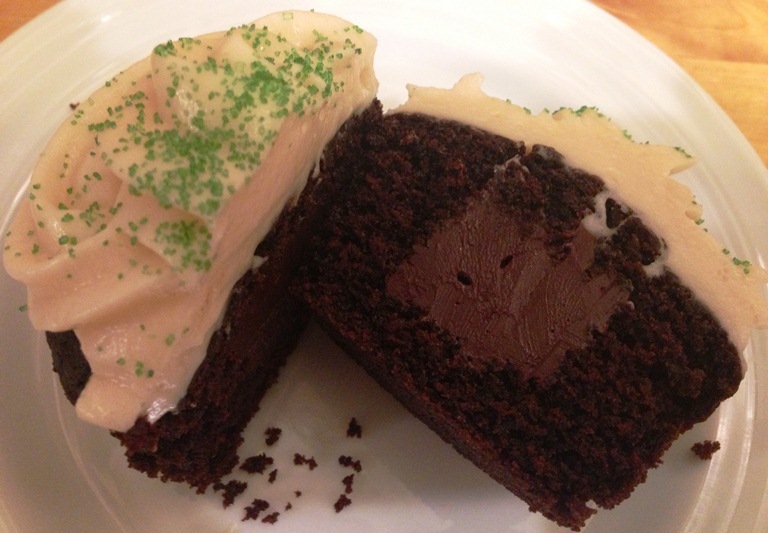 And some left over salted caramel icing from my dinner party last week. I decided a beer and a cupcake would turn this day around. 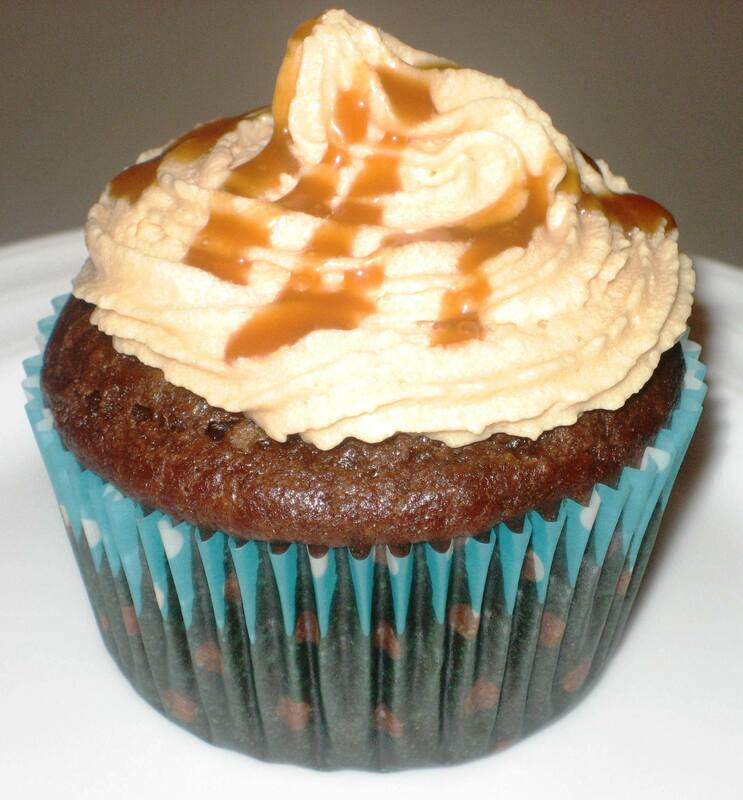 As I searched for recipes, I came across The Brooklyn Kitchen’s blog and Kate’s Beer Geek Chocolate Cupcakes with Salted Caramel. Hmm, beer IN a cupcake? Yup, that’ll do.